How can I find more Trout in our Western Rivers? The question “Where are all the trout in this river?” usually arises when fly fisherman have arrived at their favorite river when nothing is rising and fish action slow. This is a good question to ask at your local fly shop prior to your day on the river. Knowledgeable staff will be able to provide a basic bug schedule and where fish tend to focus on certain hatches. One important thing to remember is that trout are never evenly dispersed in a river, mother nature has a way of putting fish where they are best suited to be and when they are best suited to be there. They prefer certain depths and speeds of water depending on water flows, temperature, time of year and fishing pressure. Being a fly fishing guide in Vail, Colorado I come across many resort tourists who have never fly fished or even fished for that matter. We drive about thirty minutes to go float fishing on the Colorado River and if people prefer, I add some simple instruction about where to find the fish. To show how important reading water is to finding fish, I like to point out that 90% percent of the trout are found in 10% of the water. Most anglers, novice or experienced, always ask where that 10% of the best water is in the river. I typically begin by responding “This is the story of the trout and their habitat in less than five minutes”: The trout have basic biological needs, mainly water quality and water temperature. If water quality is poor with not enough oxygen or food, fish cannot live. Should the water temperatures stay below 38 degrees or above 68 degrees bugs rarely hatch and trout numbers will be low or non-existent. When biological needs like food and ideal cool water temperatures constant, the fish next are most concerned about survival. On the Colorado River, we have an abundant supply of fish thus we attract most all the predators a river fish can have. Avian predators like kingfishers, bald eagles, golden eagles, merganser ducks, osprey, white pelicans and blue herons are all looking for an unsuspecting trout. I have also witnessed seeing bull snakes, rattlers and garter snakes with fish in their mouths near the water. Mink and otters also feast on the trout. Anglers also can have an impact on trout populations in heavily fished rivers where proper catch and release techniques are not employed. This means the wild trout require a certain amount of protection. They find shelter in water depth, under banks or near large boulders and logs. Cover can also come in the form of broken water in an overhead riffle. Mother Nature wants to feed all her birds and animals so the insects the fish feed on are primarily found in shallow water. Otherwise the fish would always sit on the bottom of the river. 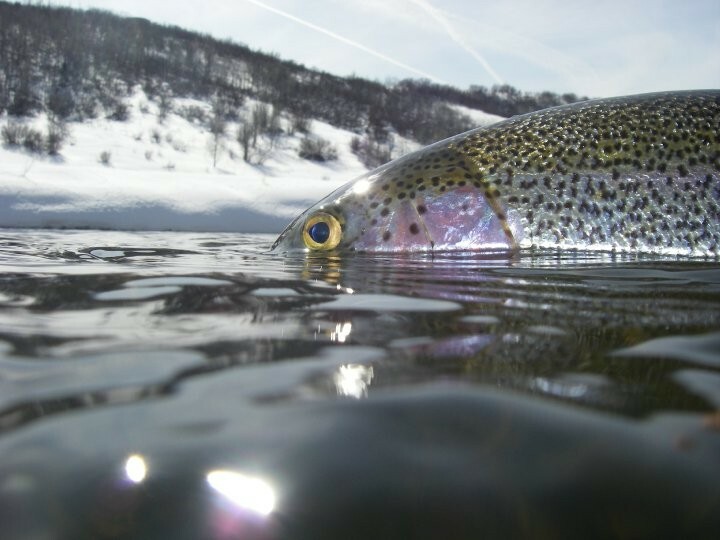 Feeding often requires some movement into productive feeding areas for trout. Once the biological and safety requirements of the trout are met, all the trout wants to do is eat. The tiny insects come downstream like a conveyor belt and fish always face upstream or into the current to devour them. Next we add the “human nature aspect of trout” and that is “they want to have their nachos and cheese watching the TV on the couch”. This means that the fish collect to feed at locations like current seams. This is where food builds up and where the trout do not have to fight the swift current. Current seams can be found behind any large boulder. This is where fast and slow water meet, on river bends and on both sides of large, straight running pools. Concentrate your fly casting on drop offs also because of the predator protection, food opportunities and current breaks they provide. In winter look for slower moving, deeper seams rather than shallow, fast water. Think like a predator such as a mink and look for trout where they prefer to live. That is the basic story. I use it all the time to help my guided customers know where to find fish in a river. 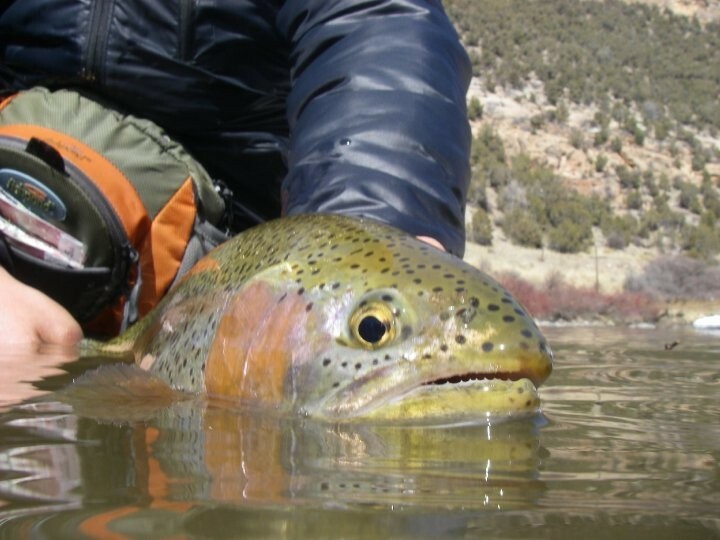 Experienced anglers know certain conditions like high water(banks) and low water(deep holes) and bug hatches will have an effect on where trout are located. For more tips on reading water and finding fish, it always a good idea to hire a local, professional guide. 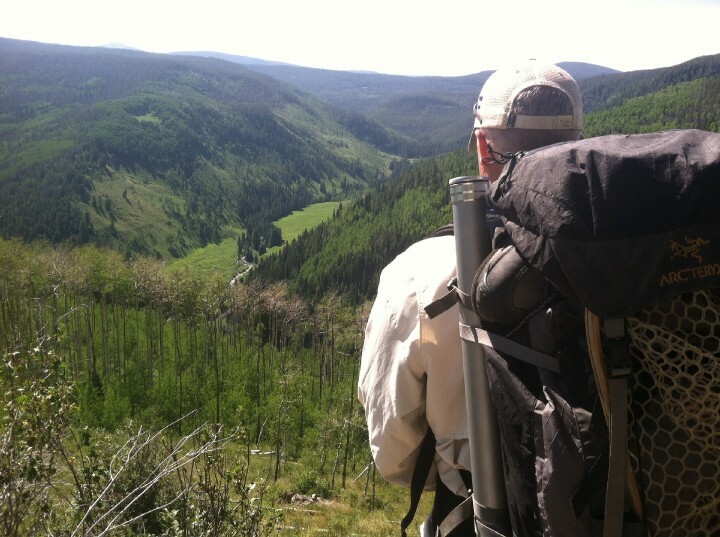 You can find a guide like those on staff at Vail Valley Anglers in Edwards, Colorado. 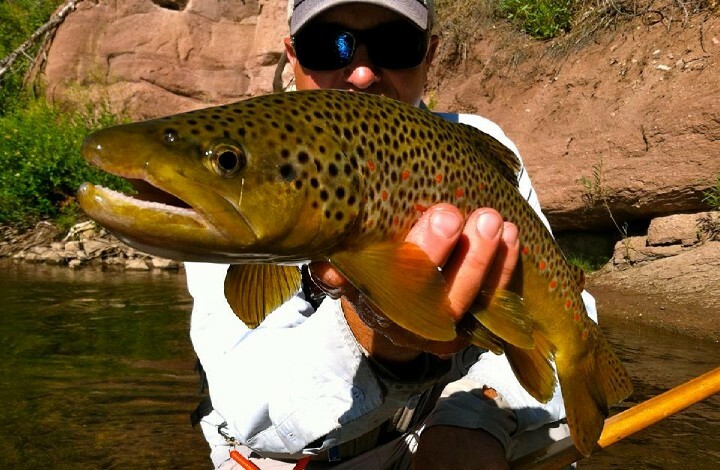 We guide year-round and are experienced at providing top-notch winter fly fishing trips.